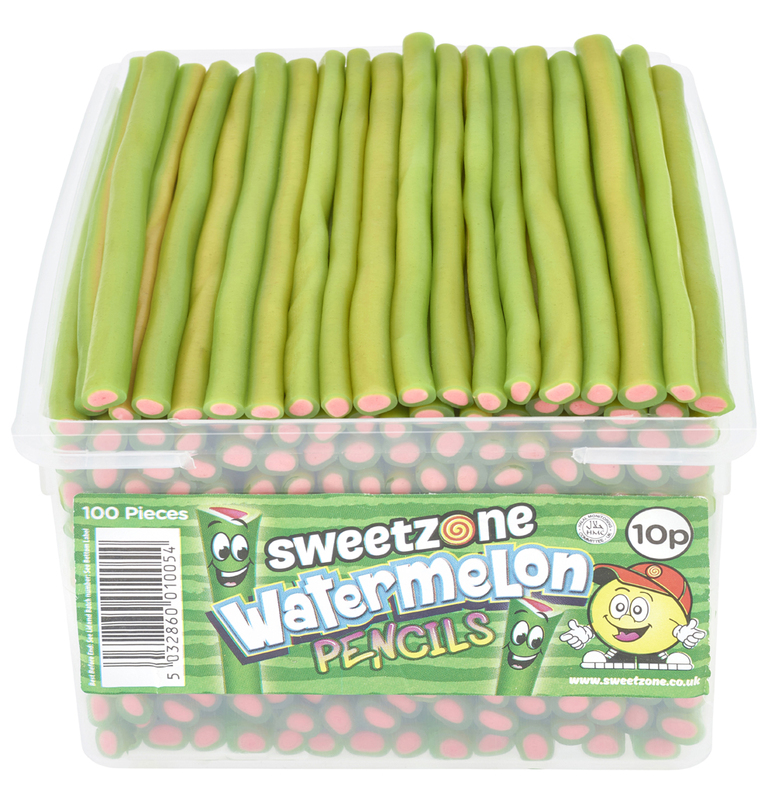 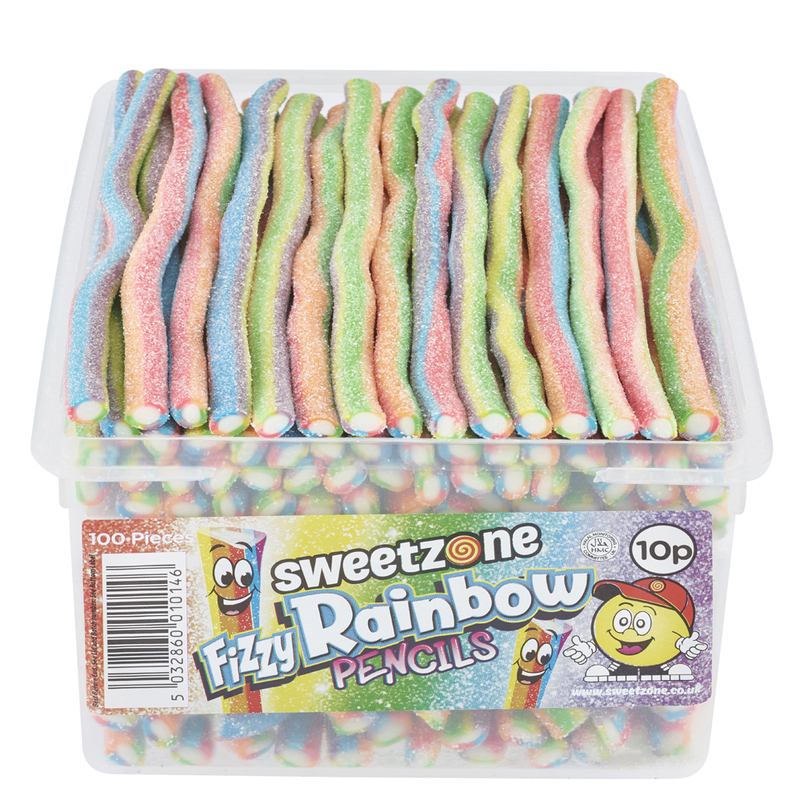 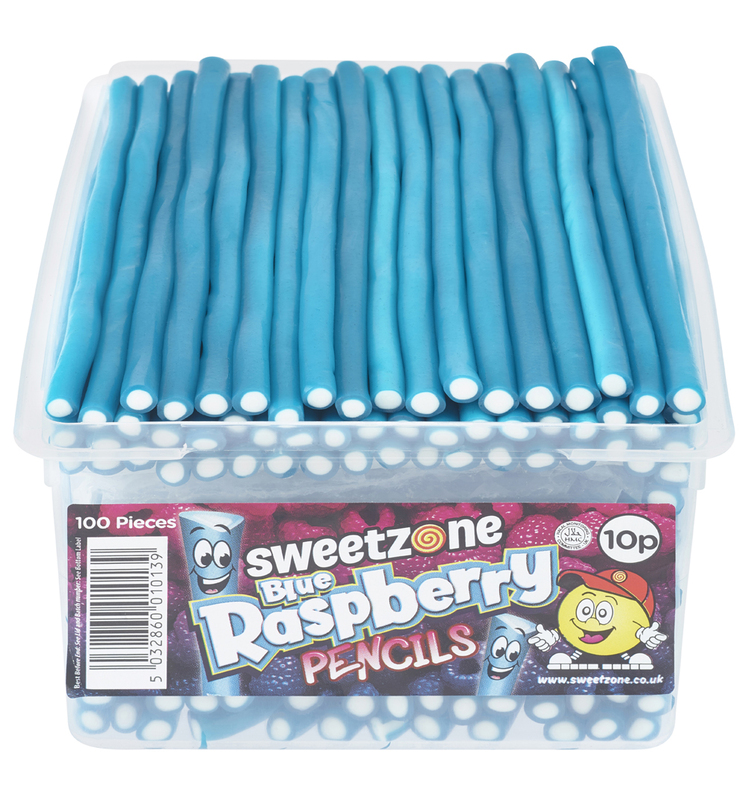 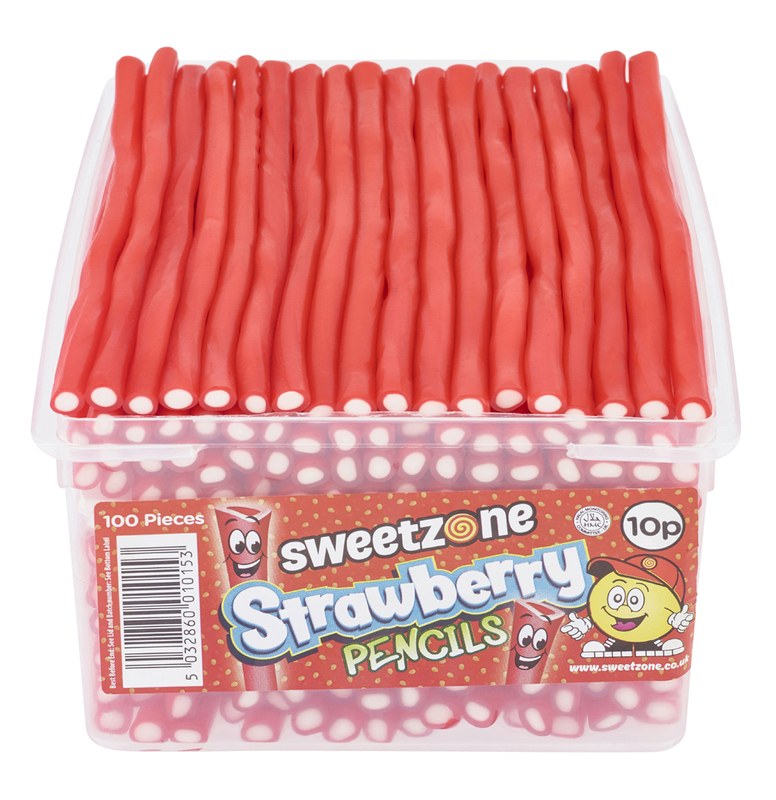 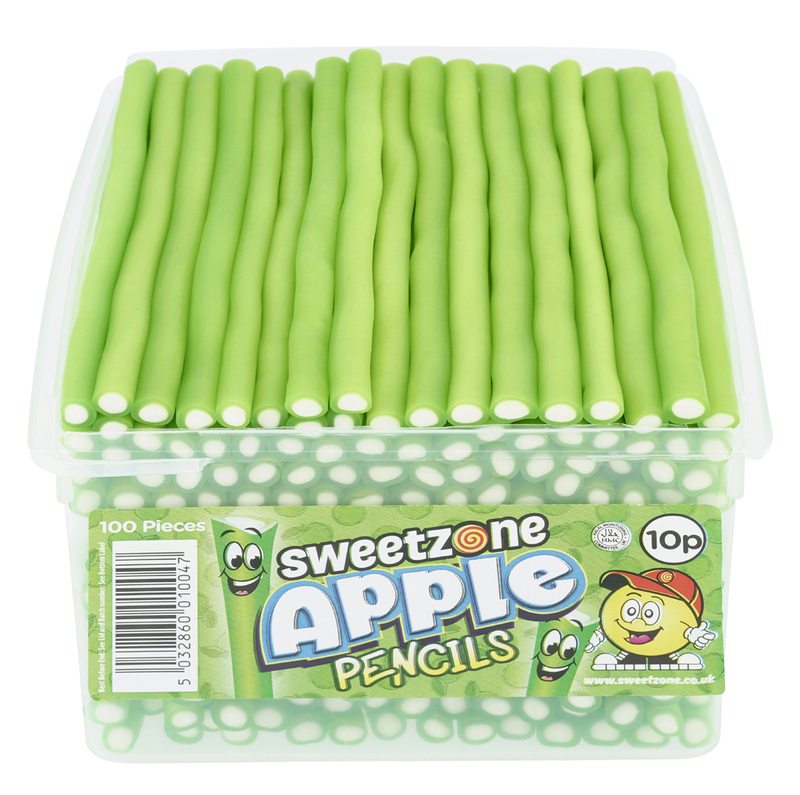 Our Sweetzone 10p pencils are a great range with 7 different flavours available – Strawberry, Raspberry, Watermelon, Apple, Bubblegum, Rainbow and Fizzy Rainbow. 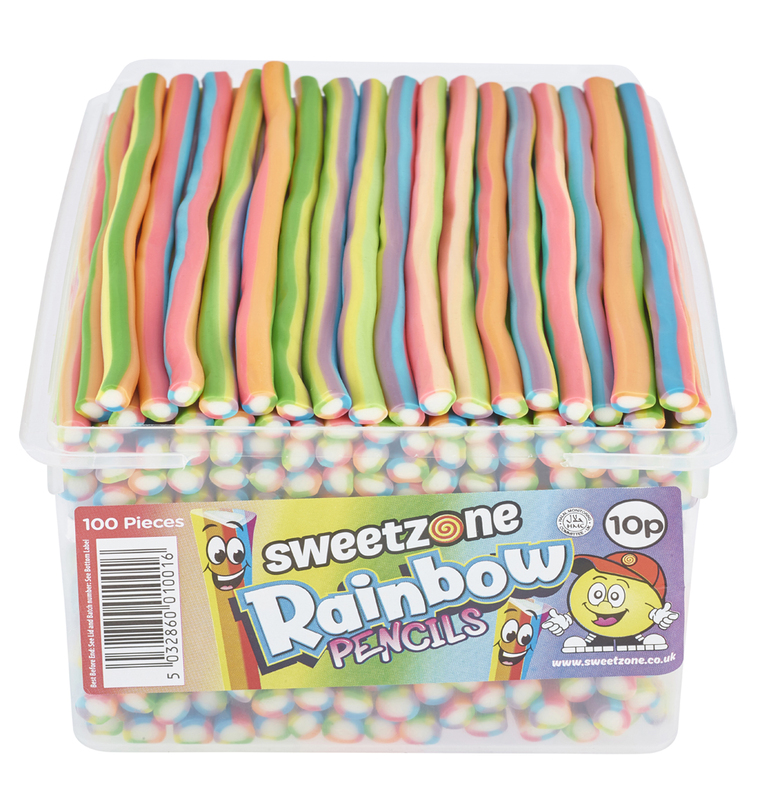 These are bursting with tasty flavours in the coloured part of the sweets and the fondant filling has the right creamy flavour to ensure you get max enjoyment from these. 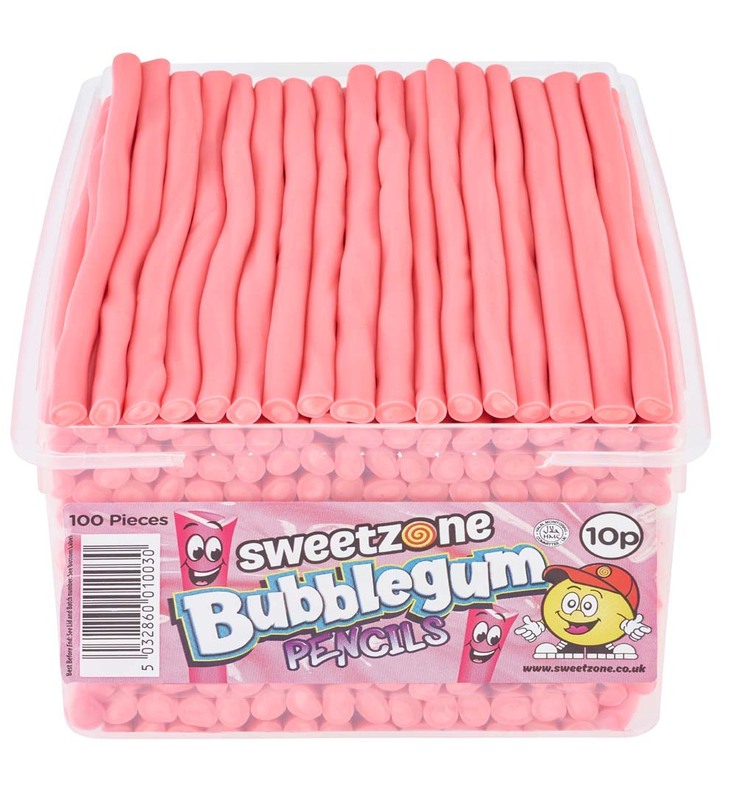 These can be sold individually for 10p as a kids pocket money spend, or if you’re lucky your local supermarket may sell the tubs as a complete unit at a good price.